Tour of Flanders 2015: Who will win? With Tom Boonen (Etixx-QuickStep) and last year’s champion Fabian Cancellara (Trek) out of this year’s Tour of Flanders with injury, the way is clear for a new name to be added to the list of the prestigious Classic’s winners. Here we rate the chances of the leading favourites for the 2015 Tour of Flanders (Sunday, April 5). Geraint Thomas, Sky It’s difficult to pick an outright favourite for this year’s Flanders, but Thomas’s performances last week make him the most on-form rider. Victory at the E3 was especially encouraging, as on five of the last ten seasons the winner of that race has gone on to also win Flanders. 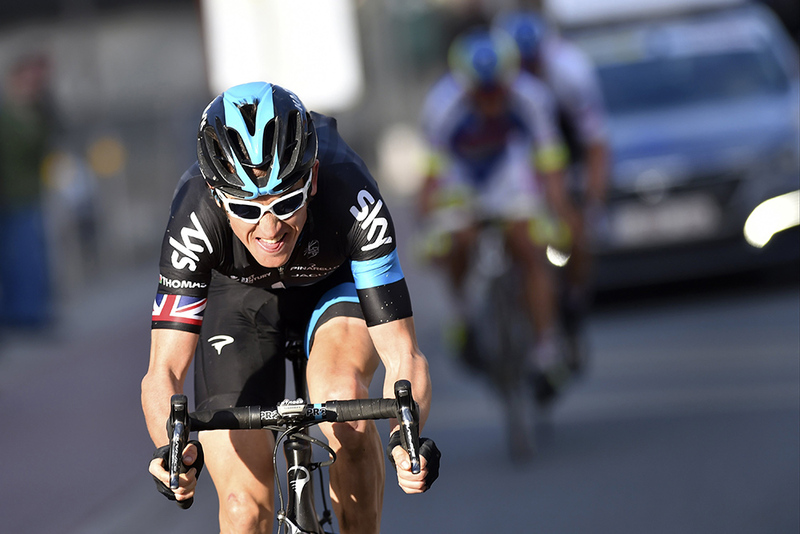 Teammate and compatriot Ian Stannard also rides, but his form has dipped recently. Niki Terpstra, Etixx-QuickStep Tom Boonen may be missing through injury, but, if last year’s Paris-Roubaix is anything to go by, Terpstra may have already superseded him as Etixx’s best classics rider. He’s had a lively season, just missing out in Het Nieuwsblad and Ghent-Wevelgem to Ian Stannard and Luca Paolini respectively, but winning the Tour of Qatar, and possesses one of the most powerful attacks in the peloton. Zdenek Stybar, Etixx-QuickStep Etixx’s other major card to play is Stybar, who has a better finish than Terpstra but hasn’t yet had the experience of winning a monument. They’ll be supported by Stijn Vandenbergh, who’ll do much of the donkeywork and mark dangerous breaks, and Matteo Trentin, whose strong sprint could come into play. Sep Vanmarcke, LottoNL-Jumbo The nearly man of both this season and recent monuments, Vanmarcke remains winless despite making the top six in all but one of the five classics he’s competed in this year, and was edged into third place in the final sprint at last year’s Flanders. His failure to translate good form into victories is worrying – on only two occasions in the past 10 years has the victor at Flanders not won previously that season. 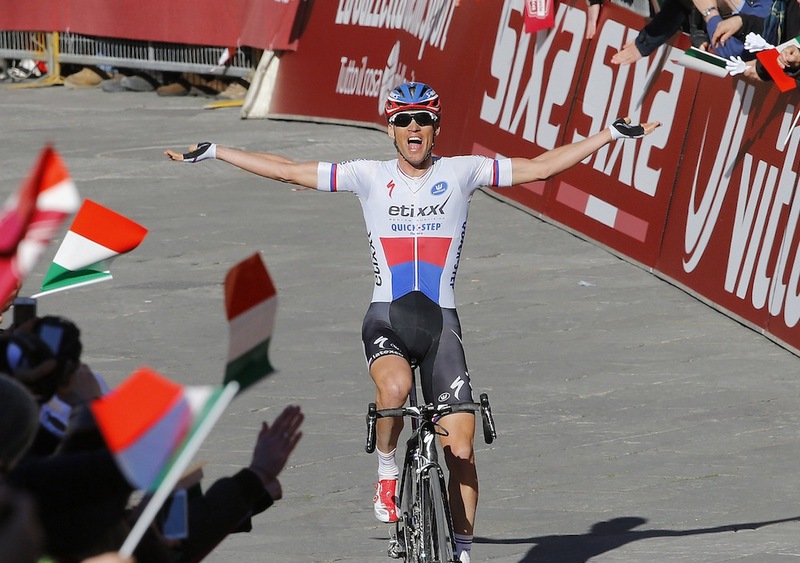 Alexander Kristoff, Katusha From winning stages in the Middle East and Paris-Nice to finishing second at Milan-San Remo, Kristoff has been ever-present in this season’s bunch sprints. Flanders may usually finish with either a solo leader or groups of three or four, but – as his win in the opening stage of the Three Days of De Panne demonstrated – the Norwegian is more than just a sprinter, and is capable of latching on to a smaller select group – especially with superdomestique Luca Paolini at his service. Greg Van Avermaet, BMC A heavy crash at the E3 Harelbeke may have checked the Belgian’s good form, but he’s hoping of fully recovering in time for Sunday. If he can get back to the level that saw him outsprint Peter Sagan to win a stage at the Tirreno earlier in the season – or, better yet, that which led him to ride a very aggressive race and finish second at last year’s Flanders – then he’s a good chance of winning. Peter Sagan, Tinkoff-Saxo Sagan’s stock may have fallen since being one of the outright favourites to win here last year, but he shouldn’t yet be written off. He’s suffered from an under-performing team (as at Ghent-Wevelgem) and tired legs in the finale of races (as at E3-Harelbeke), but everyone else will still have to be wary of not allowing his fast finishing sprint into the equation. Jurgen Roelandts, Lotto-Soudal Lotto-Soudal may not possess the outright power of their more successful compatriots Etixx-QuickStep, but have made up for it with some smart tactics. Jurgen Roelandts has epitomised their approach, spending 50 memorable kilometres at the front at Ghent-Wevelgem whilst giving his teammate Jens Debusschere a free ride in the group behind, and finished third at last year’s Flanders with a similarly long-range move. Such boldness could see him land a surprise win. 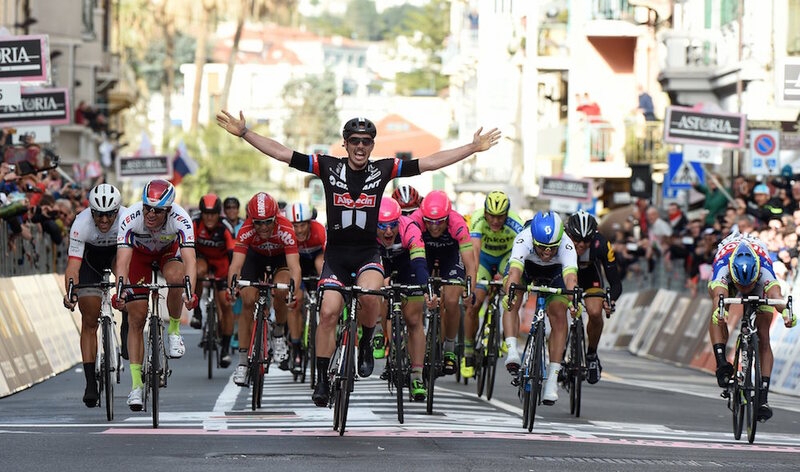 John Degenkolb, Giant-Alpecin Whatever happens on Sunday, Degenkolb’s spring has already been a success thanks to his win at Milan-San Remo, but his combative performance at the Ronde last year suggests Degenkolb believes he can win this monument too. He’s likely to struggle under the pace set over the relentless climbs in the race’s finale, however – Paris-Roubaix next week looks like a more realistic target. Jelle Wallays, Topsport Vlaanderen Over the past 18 months Wallays has shown a Nick Nuyens-esque knack for pulling off unexpected big wins, so shouldn’t be written off from replicating the Belgian’s surprise win here in 2011. Wallays’s success has come from far-out attacks at this year’s Dwars door Vlaanderen and last year’s Paris-Tour, so the favourites should be wary of allowing him such leeway this time round.